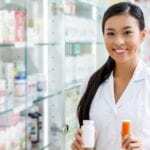 Under the supervision of a licensed pharmacist, a pharmacy technician performs those duties that do not require the pharmacist’s judgment and expertise. They might label prescription bottles, measure medications, count pills, verify prescriptions, maintain patient records, prepare insurance claims, and assist customers. 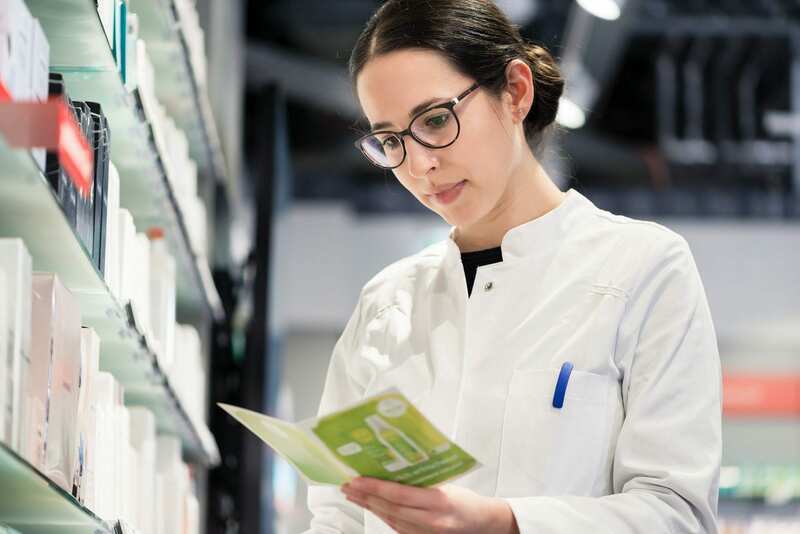 Though a technician can assist customers and answer general questions, they must refer customer questions related to medications and their use to the pharmacist. Pharmacy technicians work in retail pharmacies, wholesale industries, pharmaceutical companies, hospitals, and government organizations. Demand for pharmacy technicians is projected to grow at a rate of 12 percent through 2026. A national shortage of registered pharmacists, availability of new drugs, the medication needs of the aging population, and the establishment of certified pharmacy technicians are some factors that influence growth in the profession. Approximately 47,600 additional technicians will be needed by 2026 to meet population demands. The pharmacy technician program at Guilford Technical Community College Continuing Education Department covers 96 hours of instruction. There are two delivery formats: a hybrid format comprising of 24 hours face to face and 72 hours online and a traditional course comprising of 96 hours in a traditional classroom setting. Students who successfully complete the program have the option to sit the National Pharmacy Technician Certification exam to demonstrate that they’ve met the standards of pharmaceutical knowledge. The curriculum covers communication within the pharmacy, medical terminology, pharmacy billing, pharmaceutical calculations, computer systems, pharmaceutical terminology, receiving medication orders, community and institutional pharmacies, and repacking medications. Students also learn about federal laws, drug recalls, OSHA, drug information sources, updating patient profiles, sterile and non-sterile compounding and much more. Access to a computer with internet and a valid email. The tuition of $188 must be paid at the time of registration. The textbook costs an additional $95. Guilford Technical Community College at High Point facilitates a Pharmacy Technology Diploma program and a Pharmacy Technology AAS program. Both programs prepare students to assist a pharmacist in the duties that a technician can legally perform. Graduates will be able to mix intravenous solutions, prepare prescription medications, update patient profiles, package medications in unit dose forms, and gather patient information. They may be eligible to sit the National Pharmacy Technician Certification exam to become Certified Pharmacy Technicians. Those interested in pursuing the AAS degree must first complete the Diploma program, pass the PTCB exam, and maintain a 3.5 GPA to be considered. Admission to the Diploma program does not guarantee admission to the AAS program. The Diploma program meets the American Society of Health Systems Pharmacists standards for pharmacy technician training. Students must complete 37 credits to receive a diploma. Course topics include pharmacology, pharmacy calculations, introduction to pharmacy, writing and inquiry, pharmacy practice, pharmacy professional practice, sterile products, trends in pharmacy, and pharmacy clinical. At the conclusion of the program, students will be able to manipulate current technology to prepare, store, and distribute medications, use critical thinking for the safe preparation and distribution of medication, and apply a legal and ethical manner in practice. The program may be completed in 42 weeks. In-state tuition costs $3,049. Books and supplies will cost an estimated $892. North Carolina A&T State University lets adults become a certified healthcare professional at their own pace. The online pharmacy technician program is offered in collaboration with Health Ed Today and includes active learning exercises, labs, and career resources. Graduates will be prepared to sit the PTCB exam to become a Certified Pharmacy Technician. The course covers key topics, such as pharmacy calculations, medical terminology, dispensing of medications, dosage calculations, inventory control, billing and reimbursement, generic and brand name drugs, the top 200 drugs, reading and interpreting prescriptions, I.V. flow rates, dose conversions, and drug compounding. Other areas of study include pharmacy technician role and responsibilities, drug regulation and control, parts of the prescription and labeling, pharmacy measures and abbreviations, parenteral and compounding, information and pharmacy resources, drug regulation and control, and types of pharmacy. Tuition for the program costs $1,299 and includes all textbooks, workbooks, six months access to the online material, and course materials. The Pharmacy Technician certificate program at Virginia College provides students with the knowledge and competencies to assume an entry-level position in the field of pharmacy. Instructors help students develop skills to transcribe physician’s orders, prepare medications for dispensing, select drug products, update patient profiles, prepare unit dose medications, IV admixtures, and sterile irrigations. Required courses include fundamentals of allied health, academic strategies, academic skills, absorption systems, nervous and sensory systems, circulatory and immune systems, and pharmacy technician externship. Students learn in the classroom, simulated lab, and in a clinical setting. The curriculum covers 780 contact hours in 36 weeks. Out of the 780 hours, 555 hours will be conducted in the classroom and 225 hours will be through digital instruction. Before graduating from the program, student must also complete a 180-hour externship in a community or institutional pharmacy. Students must complete 59-quarter credit hours to graduate from the program. Graduates will receive a Pharmacy Technician Certificate and will be prepared for success on the PTCB or NHA exam. Tuition for the 36-week program is $14,528. The pharmacy technician program at Greensboro AHEC prepares high school juniors, seniors, undergraduate students or adults returning to the workforce with the skills to assist a pharmacist in a community or institutional pharmacy. Students will attend classroom lectures then work with a preceptor in a retail or hospital pharmacy to fortify the skills learned in the classroom. Graduates will be prepared for success on the PTCB exam to become a Certified Pharmacy Technician. The clinical aspect of the program will cover 50 contact hours in retail, hospital, and research pharmacological environments. The 150-hour curriculum covers pharmacy calculations, non-sterile compounding, drug classifications, introduction to pharmacy, medication dose forms, medication errors, purchasing and inventory, pharmacy law, institutional and community pharmacy, and drug information sources.